The 2016 Price Cutter Charity Championship golf tournament on the Web.com development tour for the PGA Tour is taking place this week from August 11-14, 2016, at the Highland Spring Country Club located in Springfield, Missouri. Here is a list of the prize money up for grabs for the Web.com players at the 2016 Price Cutter Charity Championship. The Price Cutter Charity Championship golf tournament on the Web.com Tour dates back to 1990. 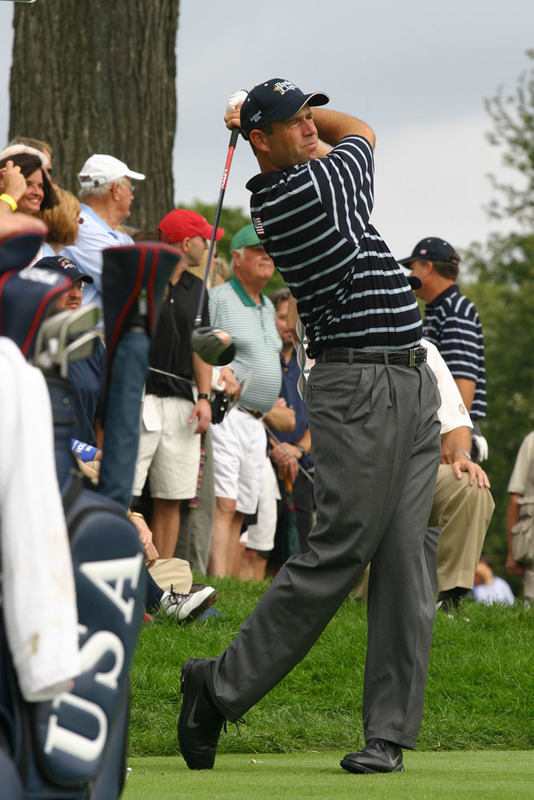 The most notable winner of the Price Cutter Charity Championship on the Web.com Tour is 2009 British Open champion Stewart Cink (pictured below) who won this tournament in 1996. Total prize money up for grabs at the 2016 Price Cutter Charity Championship is $675,000. That is the same amount of prize money that was up for grabs last year. Any player who wins three times on the Web.com Tour automatically earns their PGA Tour card. The winner of the 2016 Price Cutter Charity Championship will earn $121,500. That is the same amount of prize money that Dawie van der Walt earned when he won this tournament last year. Second place is worth $72,900 at the 2016 Price Cutter Charity Championship. That is the same amount of prize money that Smylie Kaufman earned when he finished alone in 2nd place here last year. Third place at the 2016 Price Cutter Charity Championship golf tournament on the Web.com Tour is worth $45,900. Bluehost is definitely one of the best web-hosting company with plans for any hosting requirments.